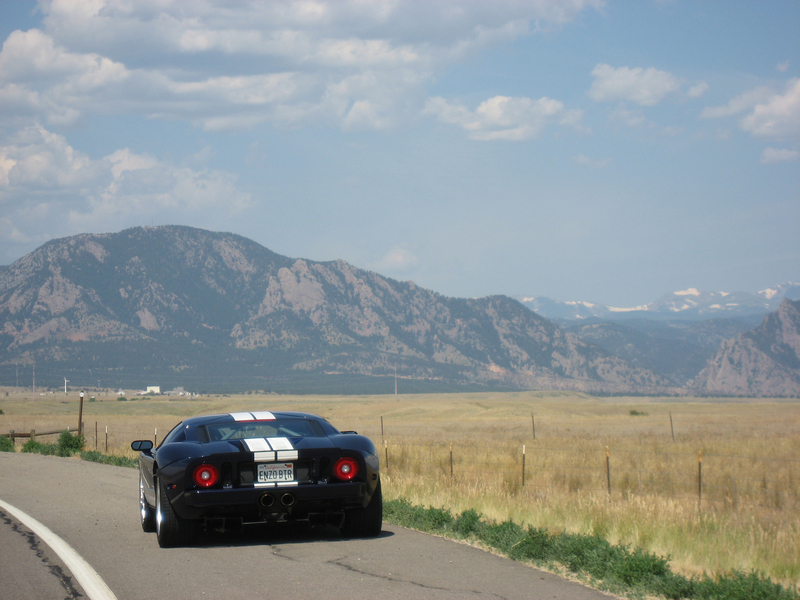 The reality is, with more than 31,000 miles behind the wheel of a 2005 Ford GT, I’ve already experienced the best the car has to offer — on multiple occasions. The long-distance trips are probably my favorite memories, as the car really was a “GT” in how it could cover lots of miles in minimal time while providing relatively high levels of comfort. But the Ford GT was also a willing partner at race tracks, offering superb steering feel, confident brakes and progressive breakaway at its limit of lateral traction. 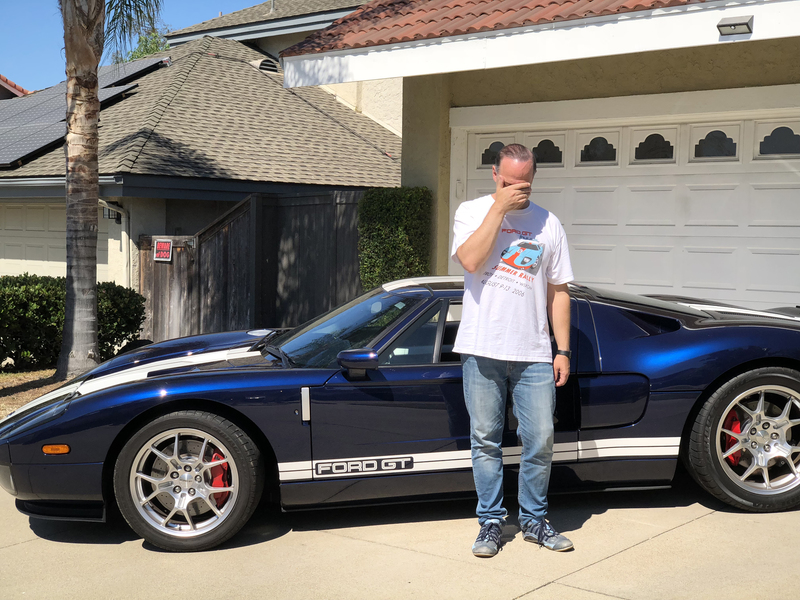 I wrote that statement because I thought it perfectly pointed out the amazing combination of traits the 2005-2006 Ford GTs offered. A combination no other car offered in the mid-2000s (I wrote this story in December of 2007) and one I figured would never be topped. The new Ford GT certainly doesn’t cost less than a 2005 version…though the market price on low-miles 2006 heritage models isn’t far off. Still, the new Ford GT does offer a richer race history (it’s already won Le Mans), better performance, more striking (if not more compelling…) looks, and a superior combination of comfort, refinement and build quality (the new Ford GT is crafted like a Swiss watch). I’m hoping it will be at least as reliable as my 2005 Ford GT, because that car was amazingly durable. 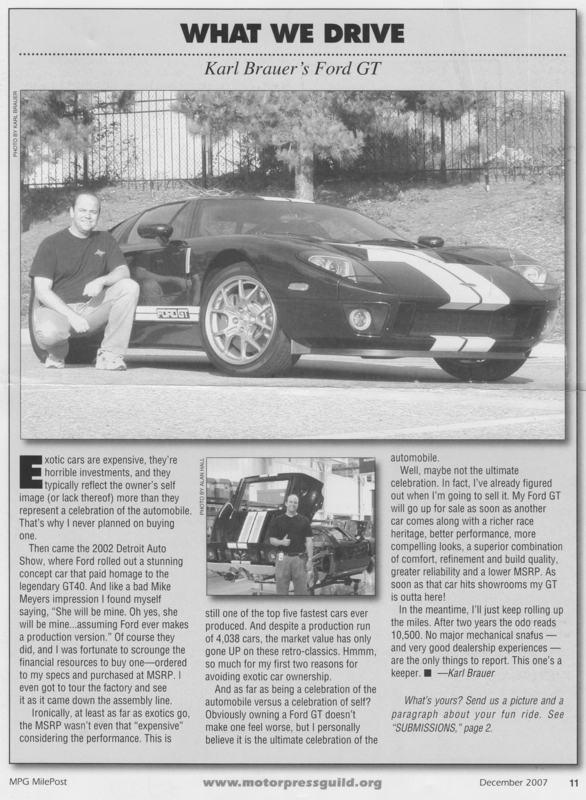 Overall, 11 years after the fact, my prediction regarding when I’d sell my 2005 Ford GT was pretty close.